… Or in my case, I always use the same type of pencils. I keep an overflowing quantity of them on my desk at home and in the office at all times. Putting pencil to paper for me is how everything really starts unfolding in the design process. After meeting with clients and discussing their wants and needs for the space, I go home and lay it all out. This is a layered process, and I mean that very literally. The way that I typically work through a space is by first drawing the shell and giving myself an outline of the immovable space we are confined to for the project. Then, I make copies, and from those copies I layer in the different elements of the space working to see if we can get all the wants and needs into the space. Most of the time there is a compromise that has to take place. Something big is required (by code or by client) so something else less important has to take the backseat. For each project, this process is different. For some clients, it is very cut and dried and only takes one draft; for others it can take dozens. I just finished a kitchen plan that was very straight forward with the space allowances, the clients requirements and the materials we specified. It took one first draft and the final was essentially the same with some minor tweaks. Simultaneously I am working on two separate bathroom spaces, an expansive master on-suite and a small family bathroom in a farmhouse. Both are much more complicated and have taken several drafts to get on the right level with the space, the client must haves and the necessary design details. This process can be frustratingly drawn out and can take a long time. I wish it was all easy..but going through the motions for me also helps solidify the design we move forward with knowing that it is the best option and that all other options have been drawn out and considered. A lot of my clients ask if I’m going to send them a computerized drawing of their space and plan when we do our initial meeting, and although I have learned software programs while I was in design school, there is something about putting pen to paper that is so much more valuable to me and my process than clicking the mouse a few times. Maybe someday I’ll go all fancy and switch to the software, but I love the practice of drawing plans and spaces. From a creative standpoint, it also allows me to connect with the space so much better and really see the layouts take their best shape. 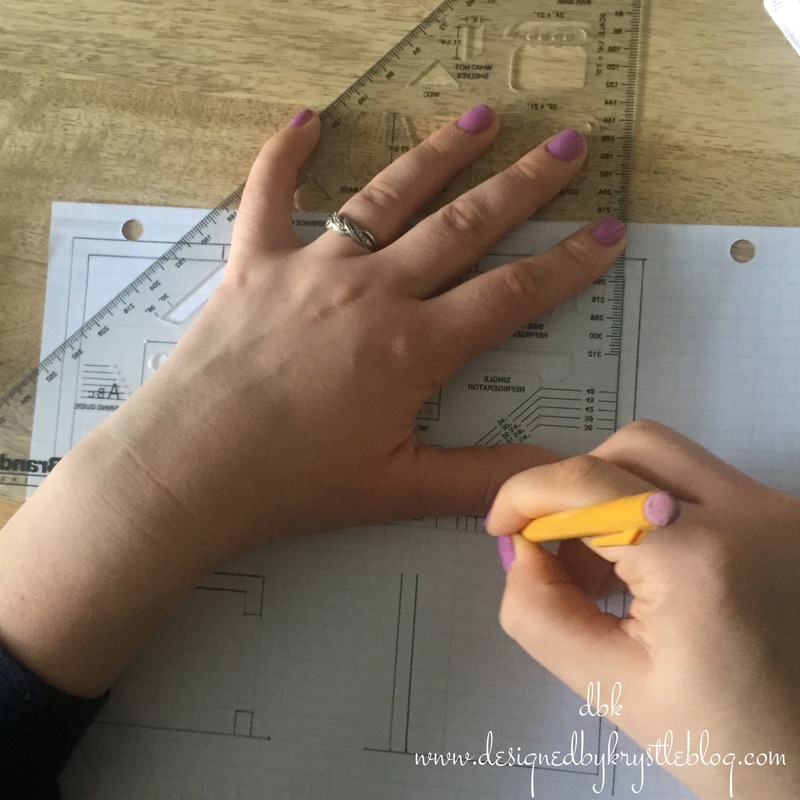 I thought it would be fun to share a bit about my process when I get started on a new job as it starts to take shape, especially as there has been a ton of drafting and re-drafting of plans happening around here lately. There is definitely something special about designing and drawing by hand, I find that my clients love to see hand drawn layouts and sketches. But working on AutoCAD or SketchUp is so much fun as well. Been doing it professionally for about 12 years now and it never gets old. Love your website by the way, let’s connect. Me? I love the tea and its accessories in the photo… That’s how I roll too. I love that you still use “old fashioned” pencil and paper, as opposed to the digital software.